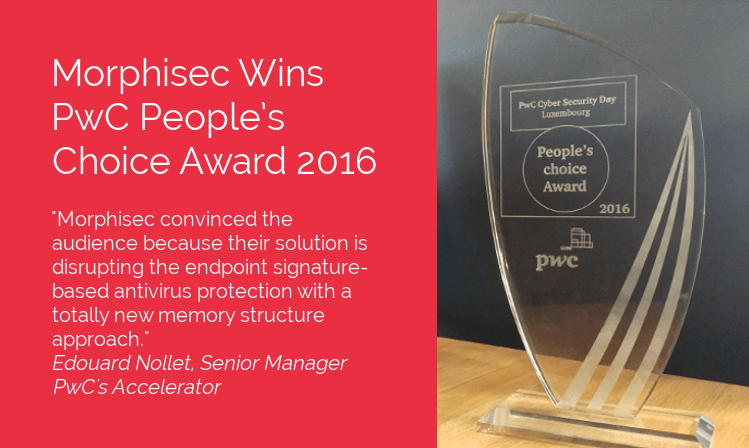 "Morphisec convinced the audience because their solution is disrupting the endpoint signature-based antivirus protection with a totally new memory structure approach," explained Edouard Nollet, Senior Manager PwC's Accelerator. The award also includes a customized two-day workshop with PwC’s Accelerator program. To be included in the Cyber Security Day program and competition was itself an honor. Morphisec was one of ten finalists selected out of more than one hundred start-ups that made the long list. 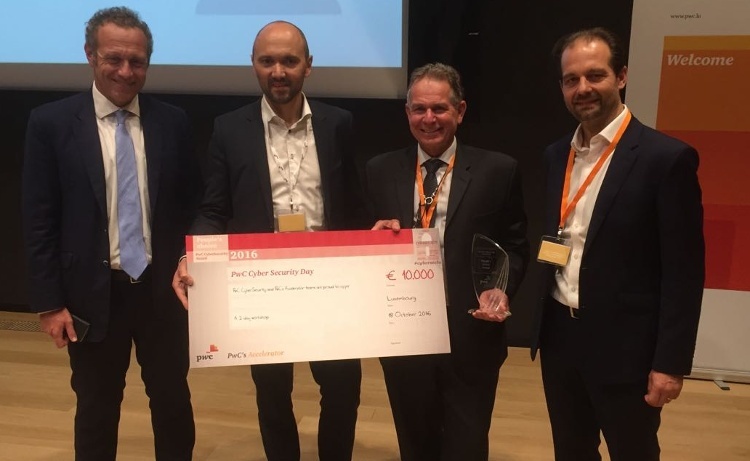 “We invited the ten most innovative companies in the global Cyber Security ecosystem which provide specific and innovative proven solutions to increasing and evolving cyber threats,” commented Laurent Probst, partner at PwC Luxembourg and Network Global Leader of PwC’s Accelerator. Learn more about the security approach Morphisec presented at the competition in Endpoint Security as Usual? Think Again.